The Maritime and Coastguard Agency (MCA) and Bristow Helicopters Ltd invited DSL to attend the official launch event for the Lydd Search and Rescue (SAR) helicopter service at its new search and rescue helicopter base at Lydd Airport. The event brought together partners from a number of organisations who have worked to bring these new search and rescue helicopter arrangements into operation. 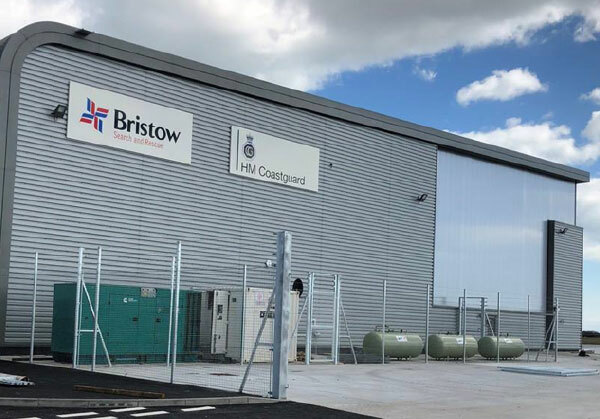 The base was officially opened by Nusrat Ghani MP, Parliamentary Under Secretary of State for Transport, and included addresses from Richard Parkes, Director of Maritime Operations of the Maritime and Coastguard Agency and Jonathan E. Baliff, Chief Executive of Bristow Group. There was the opportunity for guests to take a close-up look at the new AW189 helicopter which recently began delivering search and rescue in the area. DSL are proud to have been part of this great project.